43 x 58 cm - 16 7/8 x 22 13/16 in. Boussod-Valadon, Paris, avant 1887 [ ? ] – Claude Monet, Giverny, jusqu'en 1922 environ – Michel Monet, Giverny, 1935 – Georges Wildenstein, Paris, circa 1937 – Wildenstein & Co., New York, circa 1944 – Norton Simon, Los Angeles, janvier 1974 – Norton Simon Museum, Pasadena, 1978. Paris, 6 rue Le Peletier, 1877, n° 46 – Paris, musée de l'Orangerie, 1937, n° 106 – New York, Wildenstein & Co., 1944, n° 108 – New York, Wildenstein & Co, 1949, n° 75, repr. 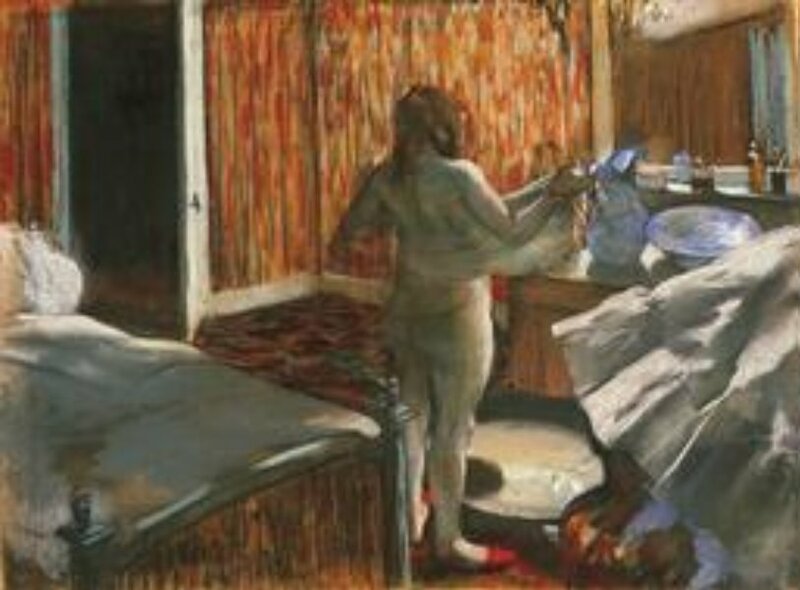 p. 62 - Cleveland, Museum of Art, 1947, n° 35 – Washington, National Gallery,1947, n° 26 – New York, Wildenstein & Co., 1949, n° 75 – The Art Institute of Chicago, 1978-1979, En prêt – Manchester, Cambridge, 1987, n° 143, repr. p. 109 - Wuppertal, Von der Heydt-Museum, 2016-2017, (n.n. ), repr. p. 350. Vauxcelles, 1905, p. 89 – Wilenski, 1940, p. 5, 9, 75, 139, pl. 13 – Mauclair, 1941, p. 50, repr. p. 123 Rebatet, 1944, pl. 126 – Artnews, 1944, p. 17 (repr.) – Lemoisne, 1946-1949, III, n° 890, repr. p. 519 – Schwabe, 1948, pl. 36 – Cabanne, 1957, p. 56, 134, pl. 116 – Boggs, 1966, p. 198-199 – Janis, 1967, p. 80, fig. 43 – Janis, 1968, n° 152 – Adhémar, Cachin, 1973, p. LXII, LXVII – Lassaigne, Minervino, 1974, n° 932, repr. p. 127 – Hermann, 1980, repr. p. 110 – Terrasse, 1981, n° 509 – Van Tilborgh, 1986, p. 183 – Paris, Ottawa, New York, 1988-1989, fig. 145, repr. p. 307 – Thomson, 1988, p. 80 (repr.) – Gordon, Forge, 1988, p. 227 (repr.) – Thomson, 1989, p. 214-215 – Norton Simon Museum, 1989, p. 309, n° 46 – Milner, 1990, p. 102-103 – Boggs, Maheux, 1992, p. 22, 24, fig. 7c – Zurich, Tübingen, 1994-1995, repr. p. 67 - Callen, 1995, fig. 96 – Berson, 1996, II, p. 73, n° III-46, 91 (repr.) – Londres, Chicago, 1996-1997, fig. 69, repr. p. 70 – Londres, Chicago, 1996-1997, fig. 69, repr. p. 70 – Willard, 1998, p. 12 – Stolwijk, Thomson, 1999, p. 126, fig. 128 – Amsterdam, Paris, 1999-2000, fig. 128, repr. 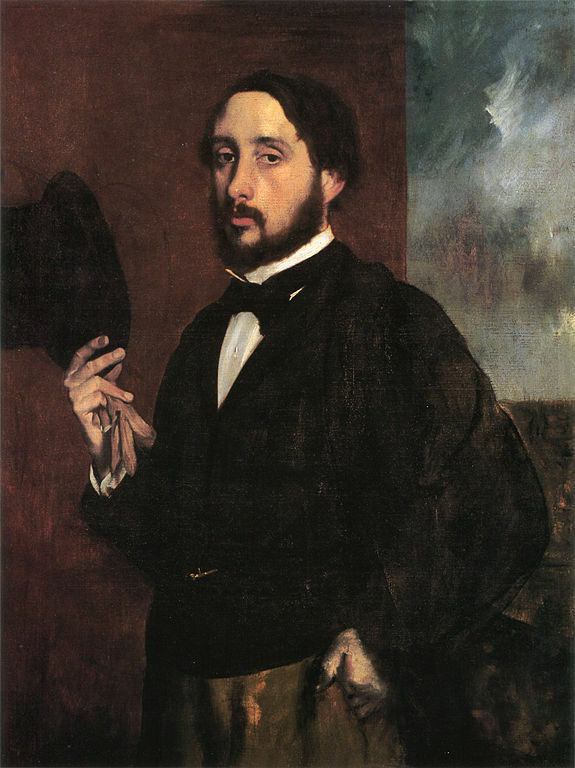 p. 128 – Degas in the Norton Simon Museum, 2009, II, n° 9, repr. p. 119; fig. 8, p. 9; fig. 28, p. 44 - Boston, Paris, 2011-2012, fig. 132, repr. p. 123 (Non exposé) – Giverny, musée des impressionnismes, 2015, fig.35, repr. p. 150 - New York, Museum of Modern Art, 2016, fig. 5, repr. p. 41.